Tapella & Eberspacher's Missouri attorney, Lindsay Rakers, has been a member of the Missouri Association of Trial Attorneys (MATA) Emergency Response Team (ERT) for several years. MATA has the first of its kind agreement with the American Red Cross to send response teams when disasters occur in Missouri. Depending on the need, following a flood or tornado, teams are on the ground in affected areas to help by providing legal resources to disaster victims. These attorneys can provide advice for a variety of situations such as landlord-tenant laws, insurance claims, FEMA, and other legal issues. 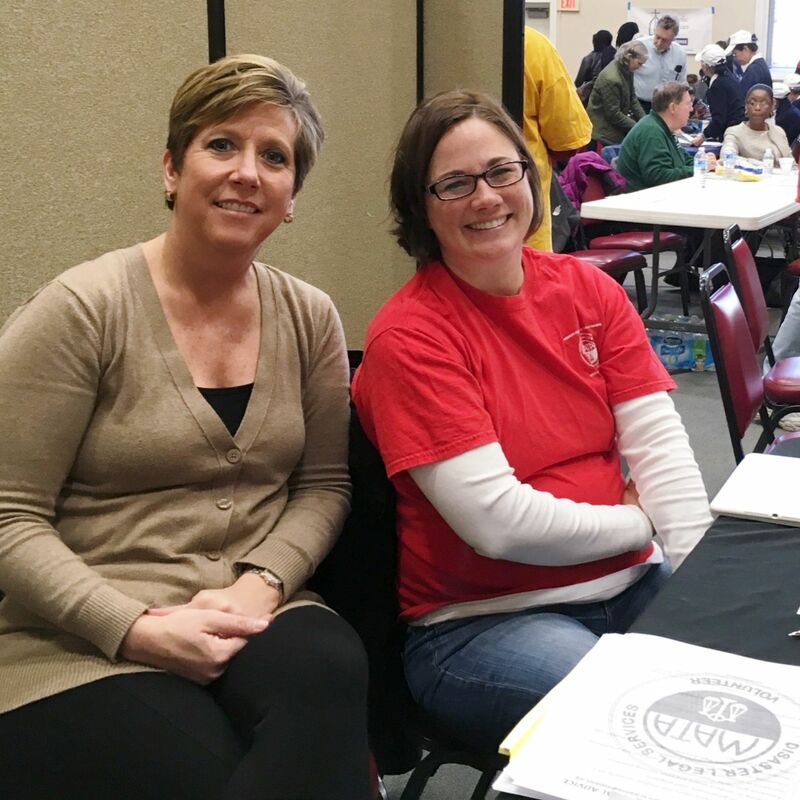 On January 13th and 14th, Lindsay joined other MATA members at Manchester United Methodist Church to provide support and free legal advice to the victims of the recent flooding in St. Louis County. "I was fortunate enough to avoid any flood damage to my home," Rakers said, "It meant a lot to me to be able to donate a few hours of my time speaking to flood victims in the area and answering their questions. I do think I was able to help some people who are clearly going through a very difficult time." To learn more about MATA, or to ask for help, click HERE.